Wouldn’t it be wonderful if you could make someone’s dream come true? It is truly rewarding to be able to make an impact in someone else’s life through small acts of kindness. 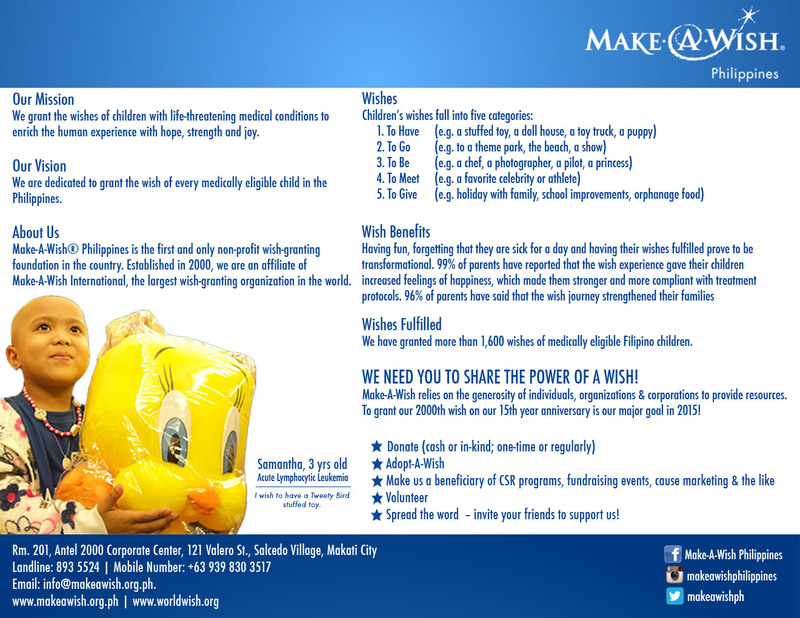 Make-A-Wish Philippines, the only wish-granting nonprofit foundation in the country and an affiliate of Make-A-Wish International, grants wishes of children with life-threatening medical conditions to give hope, strength and joy. They have a program called “Wedding For Wishes Program” where they accept donations from couples that are about to tie the knot. 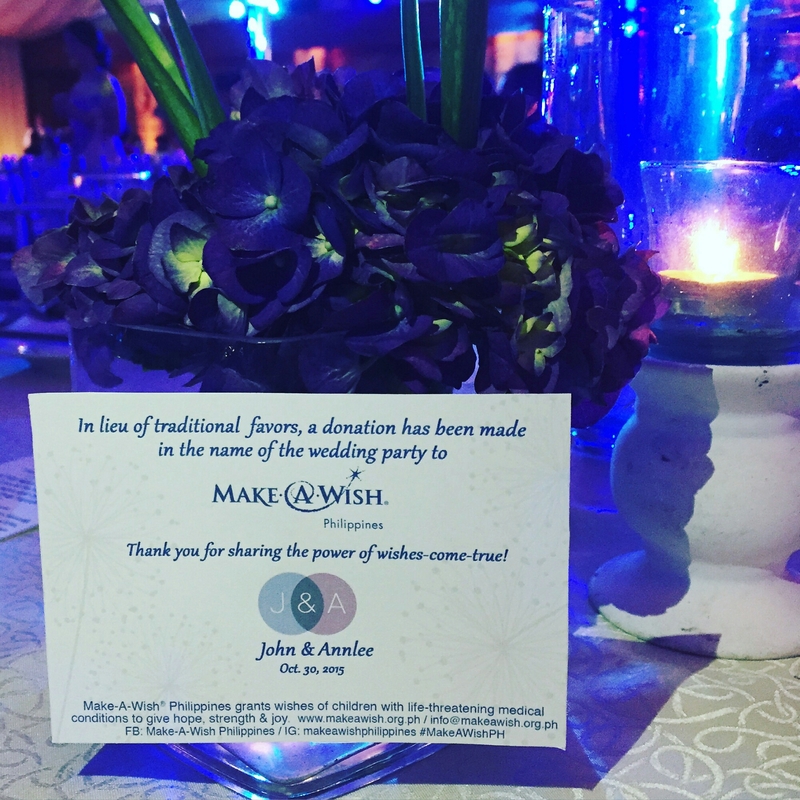 So instead of spending your wedding favors budget on knick-knacks and what-have-yous, you can donate the sum to the foundation and help make a child’s wish come true. What a blessed and inspiring way to start your married life, right? So if you’re interested in this one-of-a-kind, very special way to gift your guests, head over to their site to know more on how you can be able to touch the lives of these children.